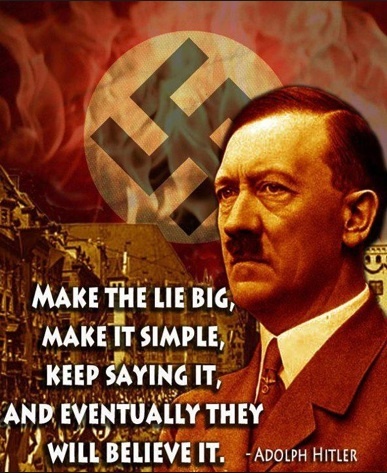 Hitler learned from Woodrow Wilson how to use propaganda. Before they even heard President Trump’s war plan, Democrats condemned it. The truth is that leftists damn anything and everything the Right will do because it is not their plan. When it comes to the Jihad the Left has enabled and endorsed Islam, so anything the free world does to fight the Jihad they demonize from the outset. President Trump understands what George W. Bush did not – the United States is not in the business of nation building. His war plan is to kill the jihadi terrorists that are destabilizing the world. This is exactly what you do to people whose sole purpose in life is to kill or enslave all others. Obama and the Democrats financed, armed, and aided the jihadis of the Muslim Brotherhood that have morphed into the Islamic State. Democrats have been serving under Islamists at all levels of our government. Hillary had Huma Abedin as her primary aide. DNC Chairwoman Debbie Wasserman Schultz had Imran Awan and Hina Alvi as IT. Obama invited the Muslim Brotherhood into the White House, allied with them, and gave them not only America’s military aide, but access to America’s most vital secrets. Obama seeded many Islamists throughout the government. Michigan’s Moslem congressman, Keith Ellison, has endorsed Sharia, which is in force his district of Dearborn, MI, as the law of the land over the Constitution in complete agreement with Islamists who want to force Islam on the entire world. Leftists will say this is guilt by association, that is it racism and religious persecution, but the results speak for themselves. Leftist always commit crimes against humanity and they cry of being the victims when the world fights back. This is not guilt by association. It is a betrayal of this nation. Behind every lie there is an underlying truth. Ellison did not condemn overthrowing U.S. law. Instead he accused Americans of persecuting Islam in violation of her own laws by completely ignoring the terrorism of Islamic insurgencies. He states that Sharia is not being implemented by written decree anywhere, but in Dearborn it is in full effect with Moslems in charge of the courts. He states that the Constitution is the bedrock of American law, but he and his fellow Democrats and all the America hating Left are openly advocating the demonization of the Constitution to enable its overthrow. The truth behind leftist smears of Trump is that they are the haters of all things righteous. Liberals always use a modicum of truth to lay the basis of their lies. They report that Republicans are not including blacks in the census. The underlying truth is that there was a census. Liberals say Republicans are racist. The underlying truth is that there are different races. They say Republicans want to throw grandma from a cliff. The underlying truth is that there is health insurance. Anything the Right says or does the Left automatically demonizes as evil whether it is factually true or not. Democrats say they are ready to win back Congress in 2018 because they say Trump has failed to make America great again. Democrats, who had ten years to destroy the American economy, declaring that Trump not making the economy roar in just six months means he has failed, and believing they can convince American voters of this fallacy is the pinnacle of galactic stupidity. Their Antifa (Anti-Free America) fascists riot in our streets and they blame Republicans for the violence. They say they are fighting against past slavery. The truth is that there is still slavery in the world today. There is slavery in Islam, in Communism, and in the Democrat’s Liberal Fascist Party in America. Yes, it’s true, Democrats own slaves to this day. They say they condemn slavery, but they are the party that demanded it be in the Constitution, and they are the party who make slaves of Americans today. What is the underlying truth of their lie about being against slavery? The dirty little secret of Rome is that there were two kinds of slaves; those who were condemned to slavery, and those who voluntarily chose to be slaves. Conquered people and criminals were condemned and forced to be slaves. But there were also Roman citizens who would volunteer to be slaves. They would sell themselves to a rich patron because they could not find work or became too indebted to subsist on their own. Blacks in America were oppressed by both the South and the North following the Civil War. In the South they were shut out of society and forced to subsist in low level jobs. In the North they were confined to ghettos and likewise only employed in low level jobs. They were denied the vote in the South because they represented a substantial portion of the population. It took Republican action over the decades to end that oppression, integrate them into schools, and open the American job market to them. The New Deal of FDR and the New Society of LBJ that were both designed to convince blacks to sell themselves back into slavery to the Democrat Party. They achieved this, not by offering them schooling and jobs, but by giving them welfare scraps, drugs, and punitive punishment for criminals to vote for them. Now Republicans are being smeared as racists. Why? Because the Democrats want to destroy what Republicans have wrought. How are they succeeding? Via the Democrat propaganda machine and the leftist educational system. They have been indoctrinating them into lies rather than educating them with the facts. They have been rewriting history rather than teaching them to think for themselves. How far has this corruption caused blacks in America to fall? In 1925 their out of wedlock childbirth rate was 8%. In 1964 it was 25% and MLK, Jr. spoke out for freedom from the Democrat Party and was assassinated. In 2017 that figure is now 75%! Now, instead of being good fathers working to support their families, blacks are taught to be “gangsters, pimps, and lead the thug life.” The black family has disintegrated under Democrat rule and distracted by the leftists that point at 19th century slavery as the evil that denied black family’s recognition. Democrat policies have done a better job convincing young black men and women to look to government as their partner, parent, master, than to make a better life for themselves with the freedom that Republicans bled and died to give them. Last week an elected Democrat called for the assassination of the President of the United States. She was forced to apologize after four days, but only did so when she was threatened with prison for treasonous and seditious statements inciting violence. Instead of condemning this traitorous behavior, Democrats applauded her! America is already in a cultural civil war between the Left and Right, between totalitarian socialists and free republicans, and this is what will result in America’s next open civil war. America was founded as a republic for a reason, but Democrats want government to rule the people, not have the people rule the government. They keep trying to lay racism at Trump’s feet as he rejects all haters while they embrace anti-white racists to satisfy the hate they have induced in their slaves. This corruption began when they labelled those blacks who work with Republicans as “Uncle Toms.” Their demonization of the righteous man in the story of “Uncle Tom’s Cabin” was the beginning of their corruption of blacks in America. The Left has always embraced totalitarian ideology over American Exceptionalism. Ask a liberal to define America’s exceptionalism and you’ll get a lecture about nationalism and national pride because they don’t understand the reasons for what the Founders fought. They were taught that they were evil slavers who not only didn’t want to pay taxes, but to collect taxes to enrich themselves. They gloss over the socialist genocides of the 20th century and paint them as being victims of America’s greed rather than their own. This is what the Left’s takeover of America’s educational system has wrought – a profound ignorance of the freedom of America and the evils of totalitarian socialism. Armed insurrection is largely inadequate to overthrow a government unless the majority of the population supports it. Fascists always take over societies by first taking over the media to propagandize the people through fake news and perverted entertainment. They then take over the schools to indoctrinate the young by teaching them that America is the evil in the world and the tyrannical dictatorships that war with her are righteous victims of American evil. Next they take over the healthcare system so they can control the populace. America is on the cusp of falling into shadow and President Trump, the man being demonized before he even speaks on any subject, may be America’s last best hope to turn back the rising tide of leftist hate and tyranny. This entry was posted in Politics and tagged America's war with Islam, American Civil War, Antifa, Black Supremacy, Democrat Slaves, Democrats, Donald Trump, Islam, Jihad, Leftist Insurgency, Leftist propaganda, Racism, Sharia, Slavery, White Supremacy. Bookmark the permalink.